The Mr. 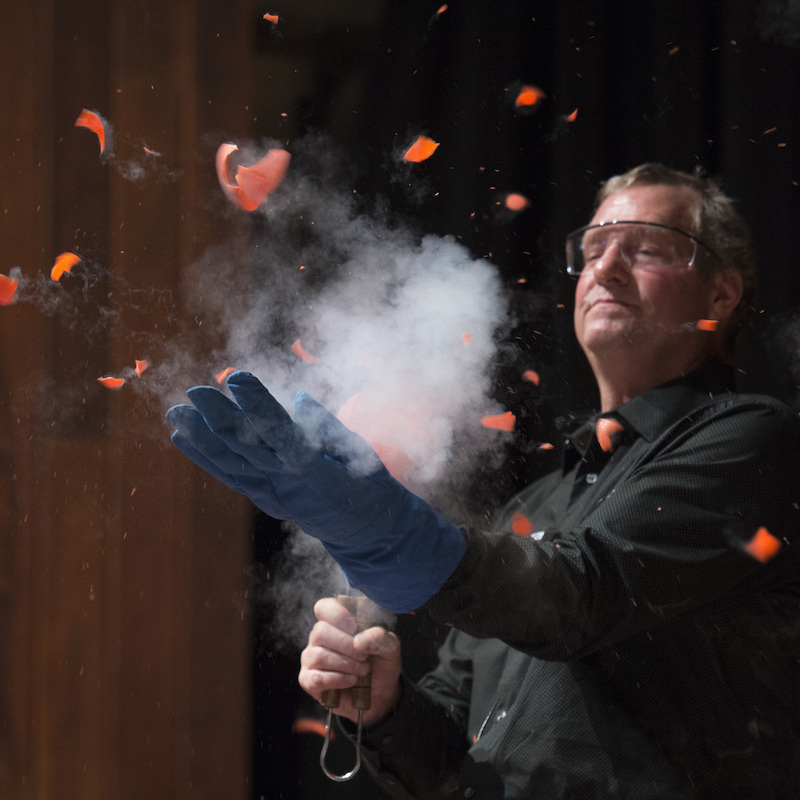 Freeze Demonstration shows the interesting and fun properties of cryogenics using Liquid Nitrogen (LN2). It is an exciting science based demonstration with lots of surprises and a few explosions. Lots of different properties and effects of the extreme cold are demonstrated and explained. Make learning science fun for everyone and encouraging kids to become more interested in science in school. It is one of the ‘Coolest’ shows you will ever see. I went to college at Northern Illinois University. Worked ten years in the Aerospace Industry at Ball Aerospace in Boulder, Colorado. The projects I worked on included COBE (Cosmic Background Explorer) and DOD Infrared Telescope. I have worked at Fermilab for the past 27 years on new detector research and machine design. I have been doing Cryogenic shows for schools for the past 27 years and been the ‘Mr. Freeze of Fermilab’ for the past 20 years. Doing 100 schools/organizations per year to 20 thousand kids encouraging them to get excited about science. Fermilab has sponsored the Mr. Freeze Demonstrations since the 1970’s. This is a voluntary activity that is financial sponsored by Fermilab.